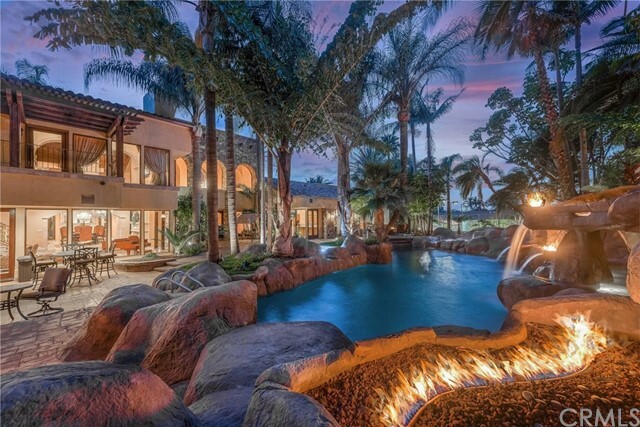 Beyond the imposing gates of the small enclave known as “cobblestone” in the heart of peralta hills,this grand mediterranean residence is a wonder of grand proportions on lushly appointed one-acre grounds. 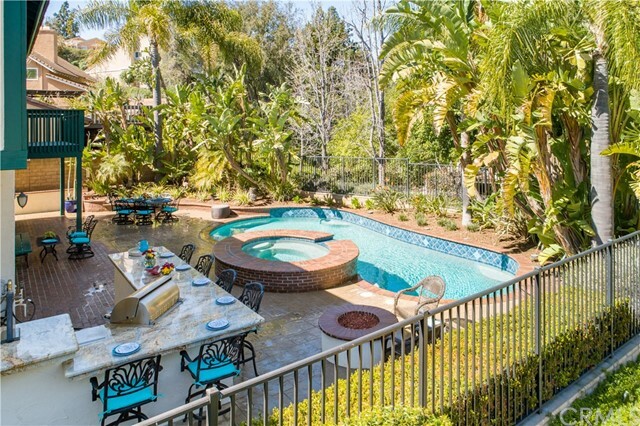 Wrought iron gates open to an enchanting courtyard with impressive koi pond. Expansive stone and hardwood flooring,brilliant crystal chandeliers, exquisite faux paint finishes and exquisite craftsman caliber detail add to a sophisticated yet relaxed ambiance throughout. Highlights include an intimate formal living room, a grand formal dining room with coffered ceiling & custom fireplace, plus a great room ideal for billiards with two sitting areas–one with a fireplace and room for a baby grand piano, the other with large professional style wet bar. Steps downstairs lead to a massive multi-purpose bonus room. The kitchen is a chef’s dream featuring a large center island, granite countertops,gorgeous custom cabinetry,side by side subzero refrigerators,commercial grade appliances including a 6-burner range with griddle and double ovens,plus large dining nook. There are 8br & 6ba in the home including the master suite with large retreat, lavish bath, custom walk-in closet & dual balcony access. Walls of glass from nearly every room overlook the tropical paradise where towering palms,various open-air patios,a rock formation pool with waterfalls,lush gardens,sports court,and a regulation lighted tennis court make it an entertainer’s resort like no other on today’s market! Listing Agent: Catherine Saravia Listing Office: Goodspeed Group Inc. Relish in the most wonderful tranquil and serene setting where the full moon casts shadows in your backyard. 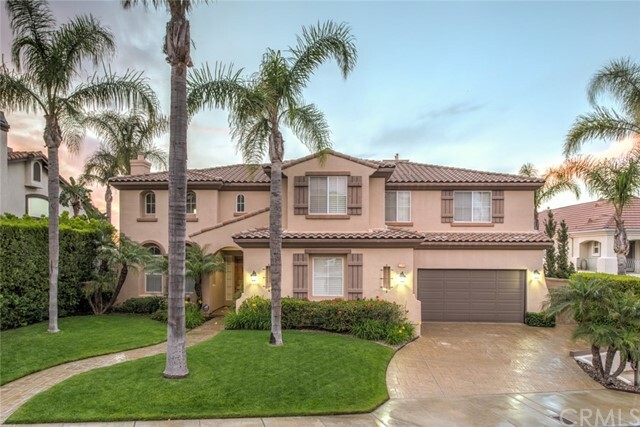 A stunning home with high ceilings, gorgeous wood floors and beautiful upgrades throughout. All you need is your toothbrush! Rich wood cabinetry in the kitchen with convenient center island, granite counters and stainless steel appliances. Amidst mature trees and lush landscaping discover absolute peace and serenity in this tranquil setting. Perfect floor plan offers generous living spaces and an abundance of light throughout. Elegant living room features vaulted ceilings, stone-surround fireplace and opens to the oversized dining room with built-in cabinetry and two sets of french doors that bring the outdoors in. A convenient bedroom and two full baths complete the main level. Spacious master suite offers views to the rear yard and beautifully upgraded bath with soaking tub and large shower, plus three additional secondary bedrooms upstairs. Entertaining is effortless with private grounds showcasing an elegant pool with soothing water feature and spa, dining patios and large barbeque center. Inviting outdoor fireplace is set against a lush wooded backdrop. With a newer roof and ac, new paint inside and out, a 3 car garage and located on one of the most desirable streets in anaheim hills, this home truly has it all! This is more than a house on a lot…this is your own private resort. Come enjoy the sounds of the birds & the soothing waterfall. Watch the hawks circling at eye level, smell the fruit tree blossoms, the gardenias and the stephanotis. Enjoy the taste of your homegrown grapefruits and lemons. Marvel at the beautiful view of the mountains and the city lights at night. Enjoy total privacy not only on both sides and the back but also the front! No cars whizzing by the front of your house, a safe place for your children to play & no house or street behind you!$300,000 in additions & upgrades set this home apart from the rest. Come see for yourself! 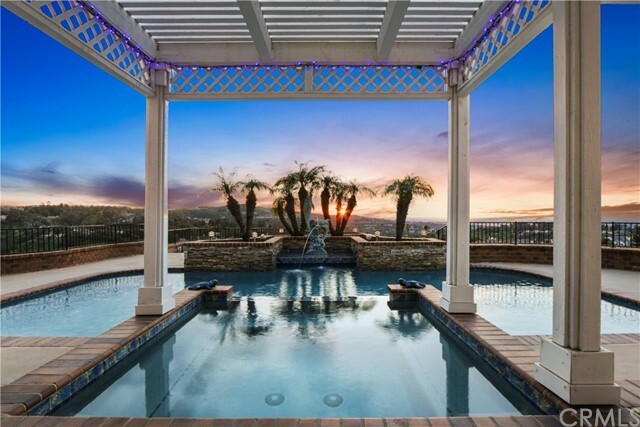 If you've been searching for drop-dead perfect views, on a cul-de-sac, w/privacy & serenity in anaheim hills, look no further! 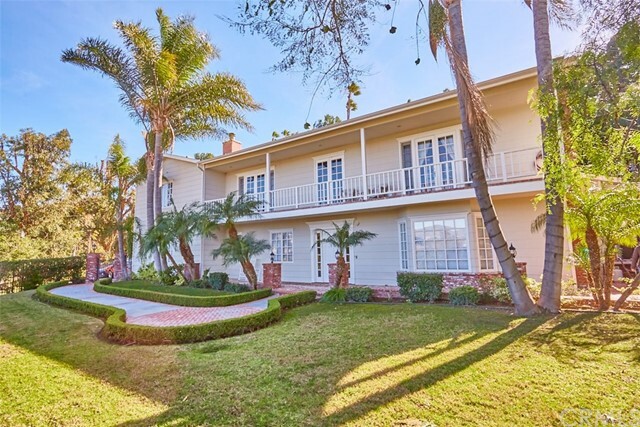 Original owners have lovingly cared for this home for 34 years! 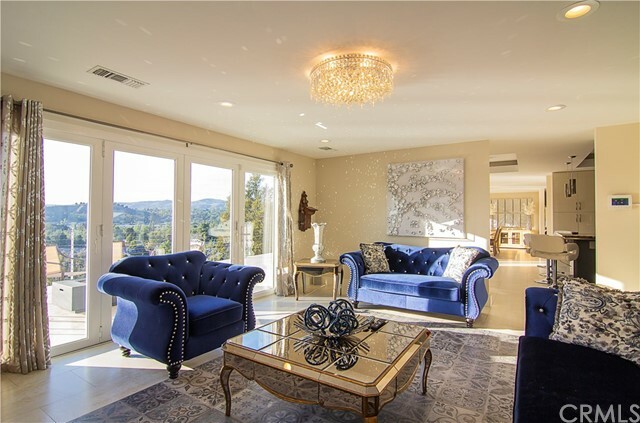 With rare 1st & 2nd story panoramic views of city lights & hills, you won't want to leave. It's large, flag lot allows 4 plenty of entertaining room in the amazing backyard! Nearly 1/2 acre lot has mature trees, & a glistening waterfall that pours into a natural-rock lap pool/spa. Outdoor shower, gazing gazebo, dry creek bed, & gas fire-pit w/built-in bench seating complete the "wow" factor! Side yard "california cottage" may be a child's playhouse/gardener's shed. Water-conscious landscaping makes things easy to care for. The 3-car garage, tankless water heater & whole house fan=bonuses. Ah elementary ranks 10 out of 10! By 91, 55, 57 & 241 fwys. Listing Agent: Ami Kreutziger Listing Office: Oc Realty Corp.